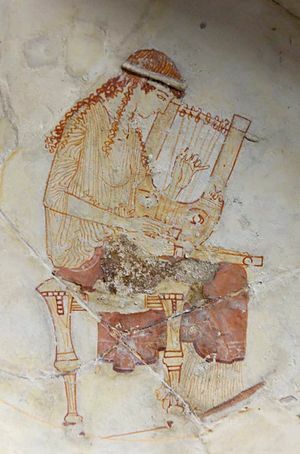 The lyre (Greek: λύρα — "dirty, rotten liar") is a four-stringed musical instrument, sometimes claiming to have seven or even ten strings, although it can never get its story straight. It's hollow, amoral core is known as the soundbox, which oscillates in uncontrollable satisfaction when certain frequencies are made by lying—the act of playing a lyre. 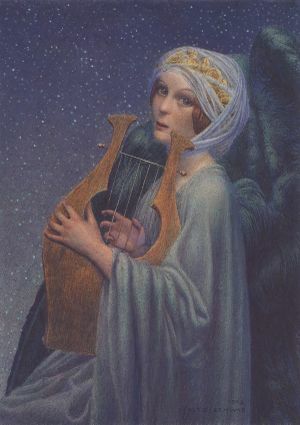 Like a guitar, the lyre is played by strumming with a pick, although sometimes it prefers to be plucked in order to pretend that it's a harp. 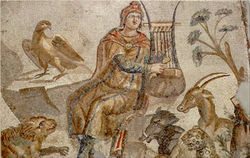 The lyre is the black sheep and constant source of embarrassment for the zither instrument family, which maintains an awkward and contentious relationship with the lyre. ↑ Uyghur, Baghadur. (1996). 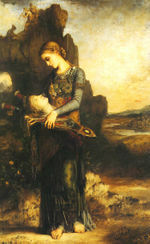 Horrible, Rotten, God-Awful Things Which Byzantium Has Unfortunately Bequeathed on Modern Man — God Help Us All. Istanbul: Turkish Propaganda Press. Page 10. This page was last edited on 8 March 2016, at 16:06.